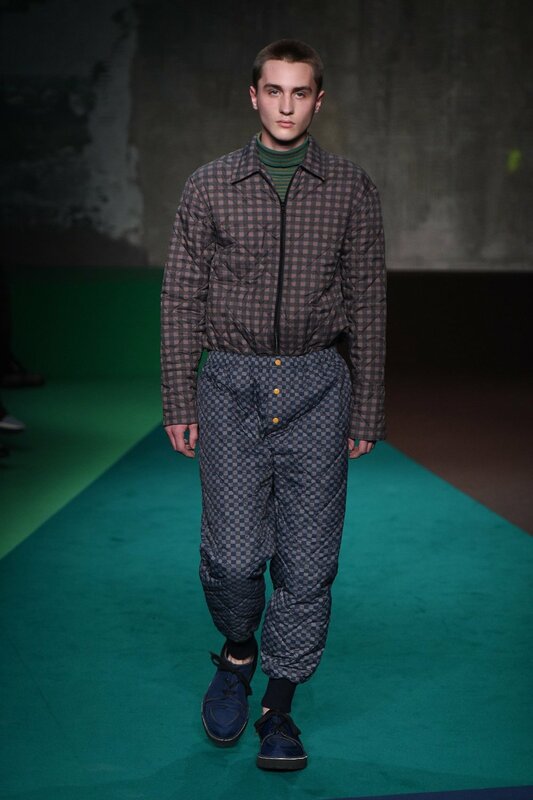 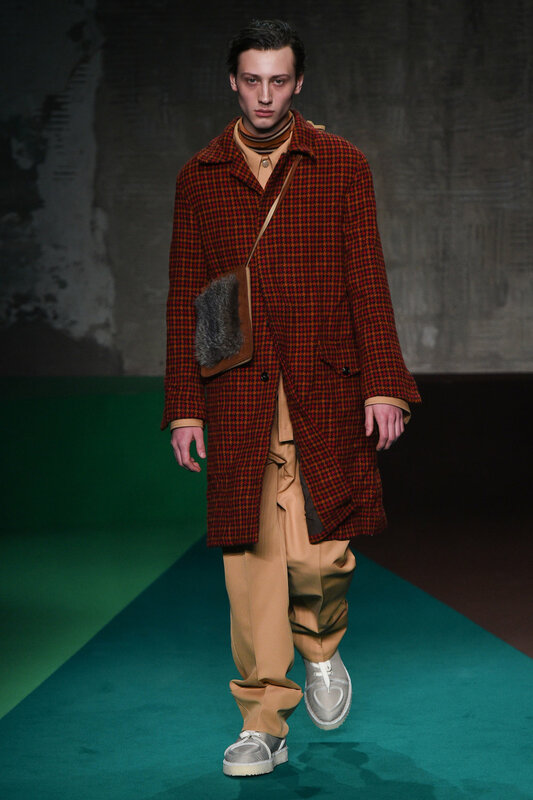 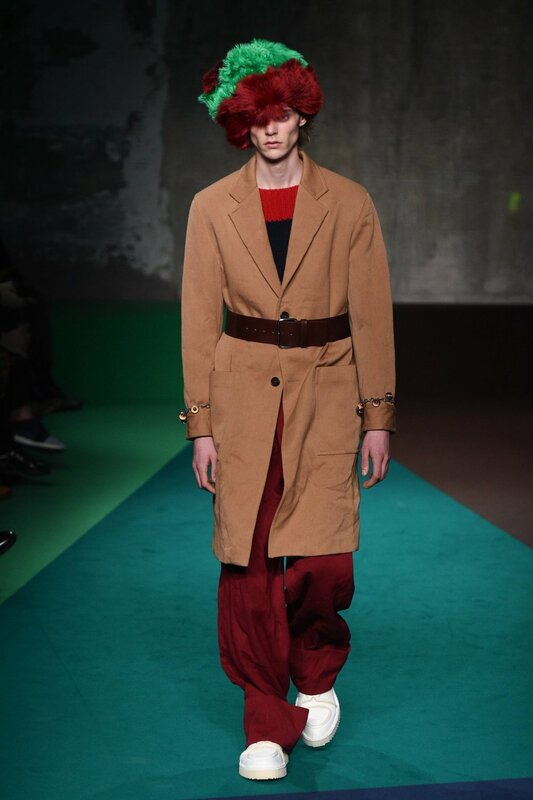 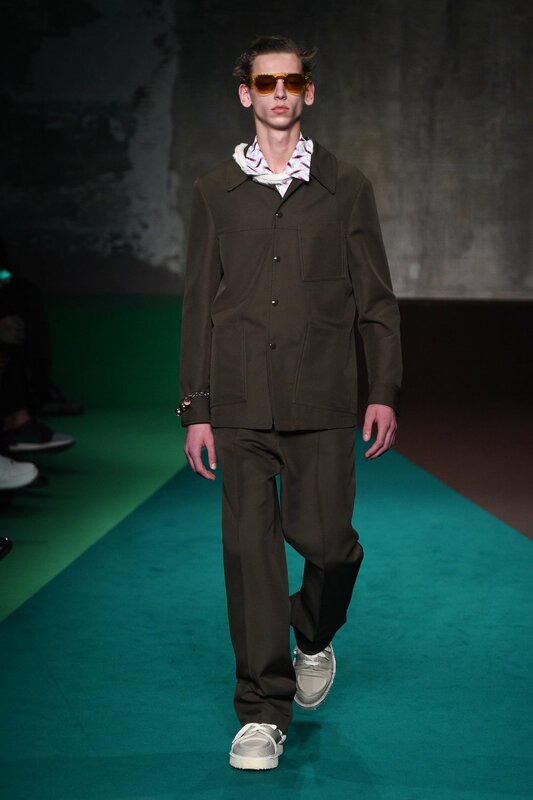 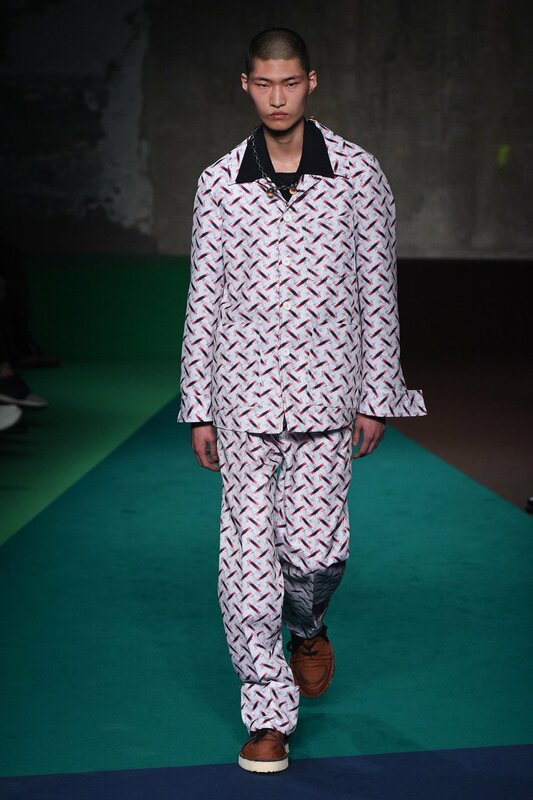 Francesco Risso’s debut collection for Marni injected a youthful quotient to the otherwise daintily mature Marni man. 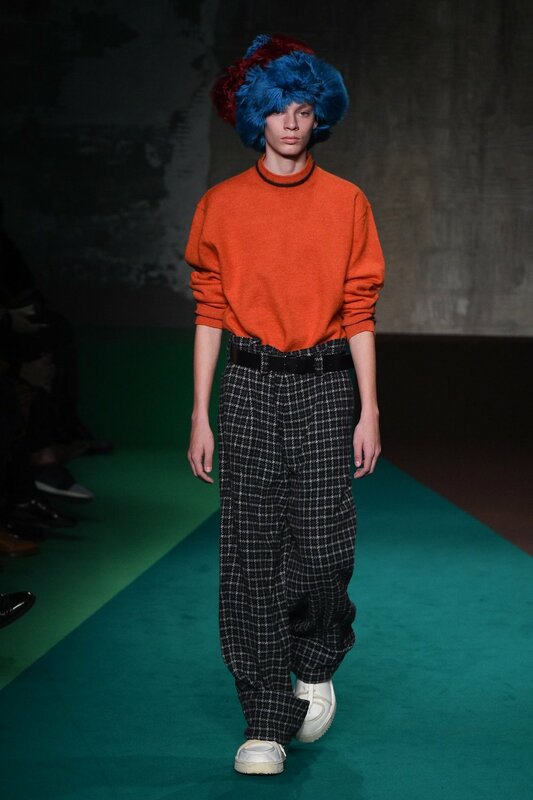 Think 1970s college boys, but more nerdy than cool, and with a definite inclination towards oddity. 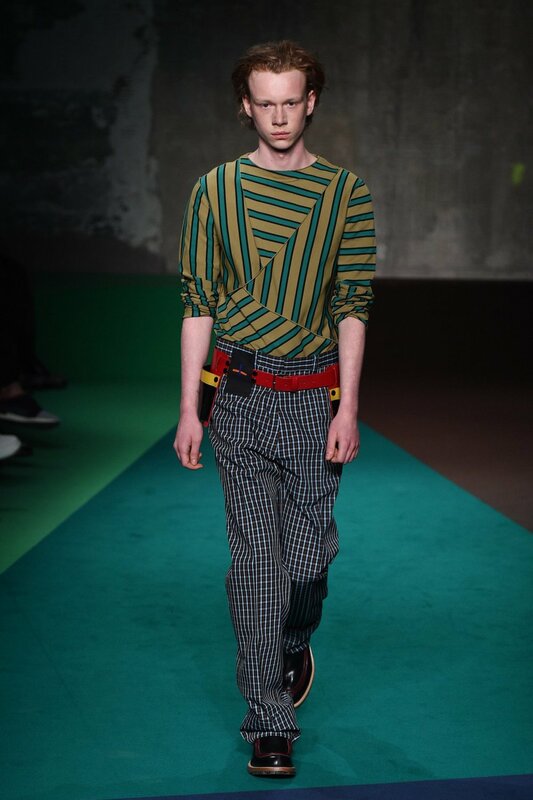 The collection displayed an uncomplicated play of prints, with bright pops of colour and was straightforward in its charm. 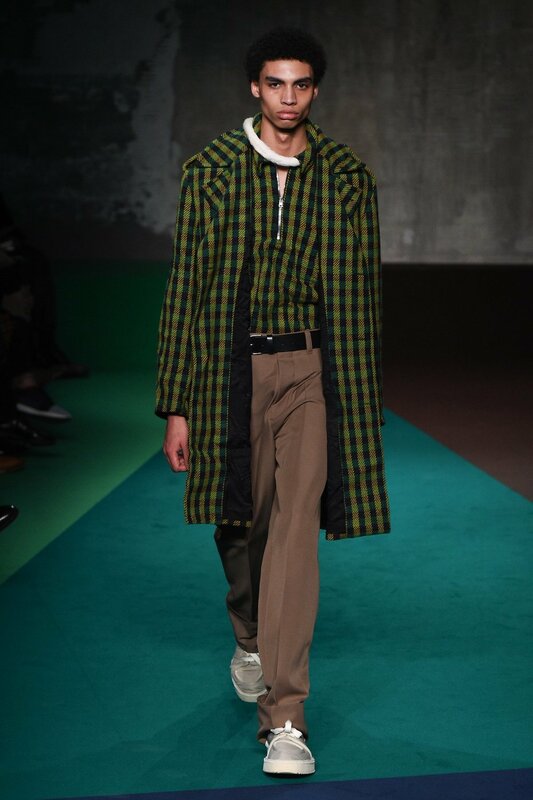 The last five looks though, tended to the back of the class; the weird/art school kids, parading a patchwork of psychedelia-inspired prints and “don’t talk to me” looks. 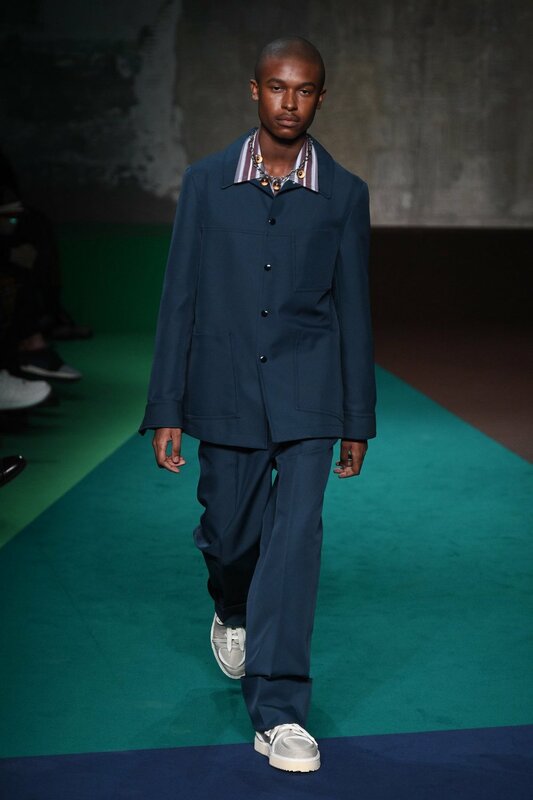 Pre-eminently, Risso’s innate Prada aesthetic demonstrated the essence of Italian tailoring, through an array of leisure suits in rich hues and virile shapes. 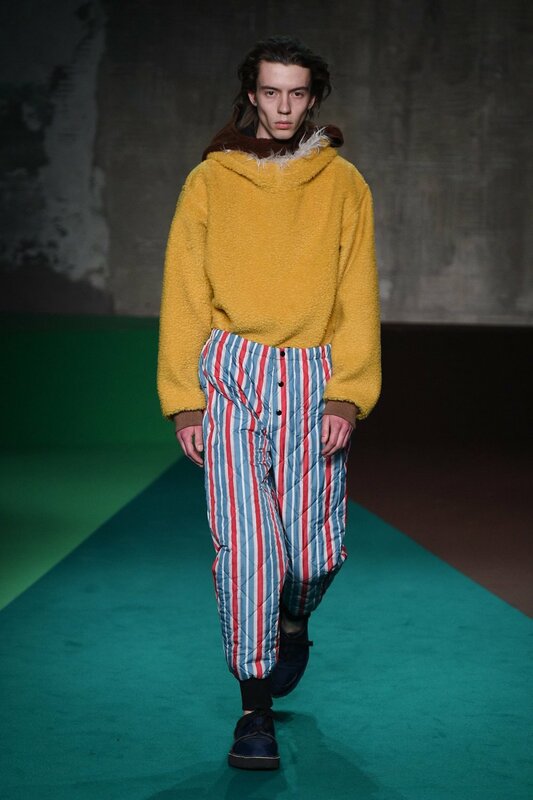 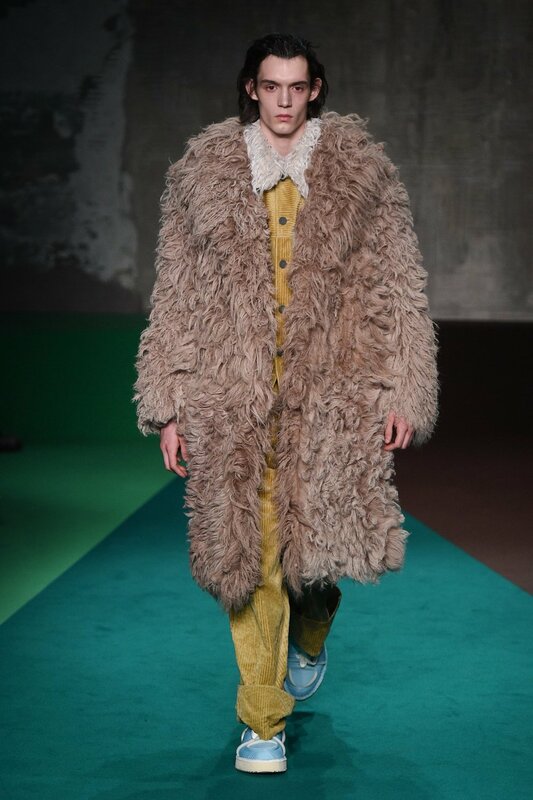 The show marked a new era for Marni, it should be interesting to see where Risso goes from here.